As you may already know, I've partnered with Alexa from Alexa Loves Books this year for The Picky Pledge. We're holding each other accountable about the books we've acquired in 2015, and I've been pleased with our progress so far. We're making more intentional reading choices and are already seeing the benefits. 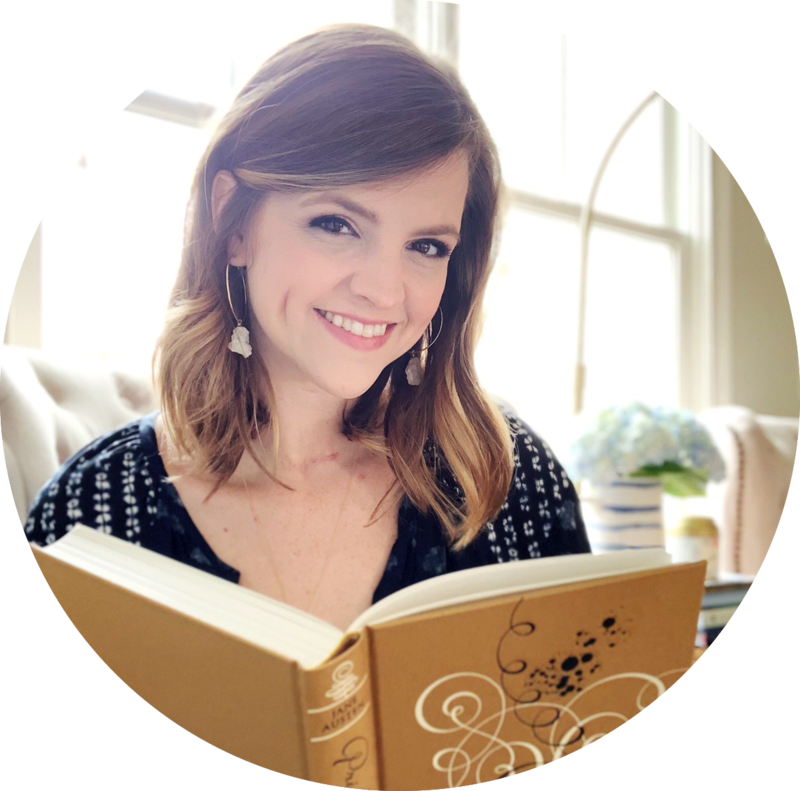 Alexa and I were recently discussing books signings and the questions that arise at events with multiple authors. Should you get something signed by everyone? How do you decide? She mentioned turning it into a post, and I wholeheartedly supported the idea. I haven't been to a ton of author events, though I live near a city with a number of bookish events, so I didn't feel like I had much to say on the topic. But Alexa has lots to share today! Since part of her discussion involved deciding what to buy at a signing, it had me thinking about another aspect of acquiring books - getting them from publishers! While I love having the opportunity to read books early, I've read fewer review books this year and am so happy with that decision. Today, I want to talk about the random things that have been on my mind lately regarding review books. Avoid boredom browsing. I already mentioned this in my first check-in post, but it's worth repeating. I'm on track for my goal of reading no more than 36 books for review this year, but I'm still guilty of boredom browsing on NetGalley and Edelweiss! I don't always end up requesting books, but it does put even more books on my radar. It's not the worst thing in the world, but I want to learn to be more content to read what's right in front of me instead of always thinking about what's to come. I don't need to always be on the hunt for more books! Build a Relationship: I generally read digital review books, but I do receive pitches from publicists. When deciding if I want to read a book, I'm sometimes tempted to accept if I want to establish a relationship with that publisher. While it's not a bad reason, it's not necessarily the right reason either. Intrigued by Cover/Summary: Who hasn't had a book cover catch their eye while browsing online? I'm definitely guilty of judging a book by its cover, but it's not a great reason for me to request a book! As for the summary, that's a more legit reason to request - as long as I don't focus too much on buzzwords. 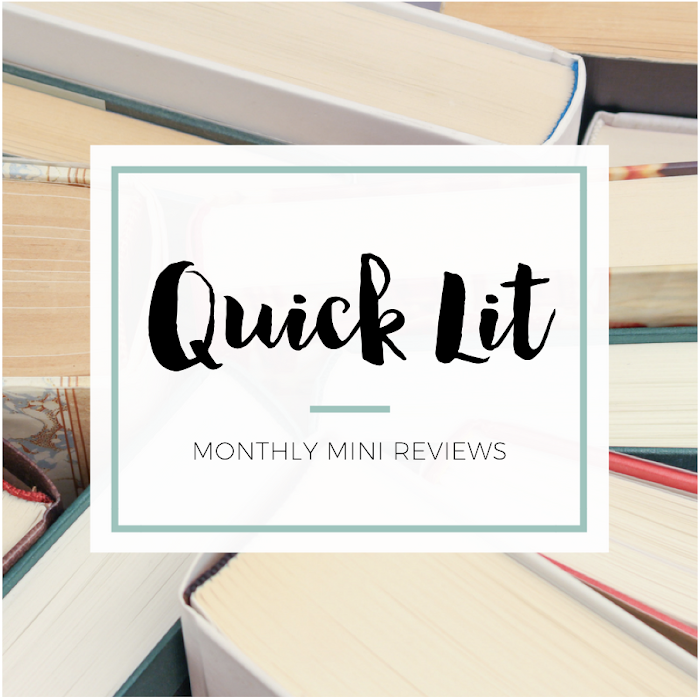 Heard Good Things: Have you ever read a book's summary and written it off only to find yourself adding it back to your TBR after hearing good things from other readers? This actually happens to me pretty frequently! However, I'm trying to get this type of book from the library instead of for review. Like the Author: If I've liked an author's past books, that will make me more curious about what they write in the future. This has led me to some awesome books, but I've also read some books solely because of the author. I need to focus a little less on who wrote something and a little more on what's inside! Dying to Read: This is the best reason to read a book for review, and it's the one I'm trying to focus on this year! If a book falls into one of the previous categories, I now pause before requesting or accepting it. But if this is my reason, I have no doubts about whether or not I want that book on my TBR. Figuring out the why is helping me make better reading choices. As for the when part, I'm making myself look at a book's publication date so I don't overwhelm myself with books releasing at the same time. Assess my level of interest. This is where I'm trying to take a cue from Kelly from Belle of the Literati. She's careful about what she adds to her TBR, but in the best way. Being more thoughtful about my interest in a book is making a big difference in how I feel about what I read. If I'd likely buy a book when it's released, I let myself request it. But if it's something I'd probably check out from the library first, I'm learning to step back and save it for later. I can wait until it's released or until I've heard more about it before committing to it. Decide on timing. In the past, I've read a book immediately if it was one I was highly anticipating. But I'm not good about writing my review as soon as I finish and would often end up re-reading it to write my review. Lately, I'm trying to put more thought into when I read review books. I'm not going to force myself to wait if I can't resist, but I do take the publication date into consideration. And if I read it too early, I don't get to fangirl about it with everyone. I don't want to read a book so early that it feels like old news by the time it releases. Don't fear the DNF. Since I'm trying to be thoughtful about what I request, this hasn't been as big of an issue. But it's a little different with review books I've accepted or ones that are unsolicited. When I accept a review book, it's for review consideration - not necessarily coverage. I won't accept a book if I don't genuinely want to read and review it, but I also don't stress if doesn't end up working for me. I'd rather stop reading a book than push through and write a negative review. Time is too short to read a book just because it's from a publisher! Deviate from the plan. While I'm paying more attention to when I read review books, I've also realized that plans can change. I love creating a seasonal TBR for that Top Ten Tuesday topic, but I don't always read everything on my list. And I like to create a loose schedule for reading review books, but only if I give myself the freedom to deviate. If a book is calling my name, it's okay to drop everything and read it. And if I'm just not motivated to read a review book, I can wait a while - even if that means I'm reviewing it after it's released. Say it honestly. I want my reviews to balance casual and critical. I don't analyze every nuance of a book, but I want to be thoughtful and add something to the conversation. However, my opinion is subjective and based on my reading history and personal preferences. So while I'm not afraid of writing a critical review or emailing one to a publicist, I want my reviews to be both both honest and kind. There's been some blogging drama in the past year or so, but I don't ever want to hesitate to say how I really felt about a book. Spread the word. Writing a review is important, but it's not the only way to promote a book. I feel like you often hear a lot about review books right around their release date, but then the buzz dies down. But there are lots of fun ways to highlight favorite books - talking about them on social media, highlighting them in fun features or including them in memes like Top Ten Tuesday - weeks and months later. This doesn't just apply to review books! It's also my favorite way to draw attention to stuff that's under the radar or from an author's backlist. Savor the variety. When Alexa and I looked at our reading statistics from last year, we were both surprised to see just how much we'd read for review. While I'm so thankful for the opportunity to read advance review copies, I realized just how much my reading habits had changed since I started blogging. I wasn't re-reading favorites or picking up as many older titles, and I wanted more balance in what I read. I want to continue to be an eclectic reader, which meant had to be pickier about review books. And I haven't regretted it at all! How do you decide what to read for review? This is everything I have tried doing this year I can't tell you how much BETTER I feel about my review books! I basically threw my reading "schedule" out the window. I used to plan to read review books closer to their pub months or cram ones that were publishing that month in at the end of the month... But then I was reading books I wasn't in the mood for or really didn't want to read and neglecting books I DID want to read. I've started reading whatever, whenever and it's been so much nicer! Sometimes I'll wait a little bit say, if a book is published in Sept and it's only May but I also didn't wait to read ACOTAR (December/May) and I don't regret it one bit! I am SO SO SO guilty of accepting a book from a publisher because I wanted to establish a relationship with them *cough*Penguin*cough* and then I didn't enjoy the book because it wasn't really the right book for me. I've ended up DNFing more than one book that I've accepted to establish a relationship because I was trying to force it and that just wasn't right for me or for them. OR the author! This is such a great post, Hannah! I kind of miss the old days before blogging, when I picked up a book and read based solely on the fact that I wanted to, without taking any outside opinions into consideration. I also loved the freedom of reading whatever I wanted, when I wanted. And when I started requesting review copies, that changed a lot. I didn't know what ARCs meant before I started blogging, so they were all very shiny and new and I requested a ton, even if I wasn't necessarily interested in reading the book that much. And then I had a mountain of a TBR and a lot of stress because how could I ever find the time to read all of these? I started making reading schedules, and I hated them. It put me into some incredible reading slumps (and even blogging slumps). It's awesome that you've found balance with your reading "schedule" too. I think so many of us become focused on review copies, and over-request, which can lead to a lot of stress and guilt, two feelings that are never good when it comes to blogging. Reading is supposed to be fun; this is a hobby. I think many of us forget that. I did, a few times, but I want to this to be a positive space. And not requesting so many review copies and having a balance in what I'm reading have been SO helpful in chasing away the negative. I just have to remember that I can't read everything, and that's okay. I think the Picky Pledge is such a great idea! I"m still a fairly new blogger with just about 6 months under my belt, but I've quickly realized that there a lot of books out there that I want to read! I started to request some ARCs, but I've already stopped that - at least for now. I realized that with ARCs, it's a lot more risky as far as if I will like it or not. While books that have been out for a while I can research and read other reviews to get an idea of if I will like it or not. I would rather read a book that lots of people have liked than take a chance on a book that hasn't released yet. I think I will still occasionally request and read ARCs, but just not very often! Gosh, I've been terrible in the past with the boredom browsing ... this year I deleted my NetGalley account because I just couldn't deal with the stress of having so many books for review. Now I plan to be a lot more picky! And I like your idea of really evaluating WHY I want to review a book ... just because it looks good is never enough for me. I need to majorly be wanting that book to get an advanced copy! Although, lately I've been preordering the books I really want to read and it's been fun to get them in the mail and read them right away. I feel like there can be so much energy during release week for certain books and it's fun to be a part of it! This has been on my mind for a long time, and your post really helped clear the mess that was my brain. Not sure how I would've written something this well. But boredom browsing? Man. That really is a thing. Top it off with the pressure to read what everyone else is reading, blah blah blah, and then the fun of ARCs drops away.